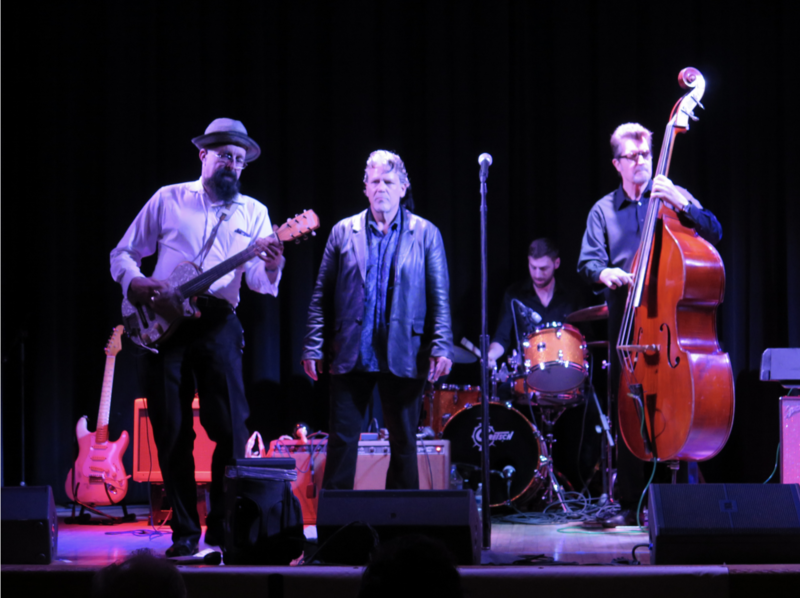 The Santa Barbara Blues Society sponsored another outstanding concert, featuring area band Stiff Pickle Orchestra, followed by Mitch Kashmar and his all-star band, West Coast Toast. Kashmar (vocals/harmonica), a Santa Barbara native perhaps best known as the leader of local blues legends the Pontiax before embarking on a solo career, was backed by a superb backing band featuring Junior Watson (guitar) and Bill Stuve (upright bass) from the Mighty Flyers, as well as Fred Kaplan (piano) and Marty Dodson (drums). Intriguingly, Junior Watson also led several fun — and totally from left-field — instrumental covers. Inquiring if anybody liked Elvis, Watson ripped into “One Night” after revealing that the song’s original title was “One Night of Sin” when Smiley Lewis composed it. A gonzo cover of the theme song to the classic TV show Bonanza followed by a Beverly Hillbillies medley got people smiling and dancing. Clearly, Watson is not only a smokin’ guitarist but he loves his classic TV!